During school breaks and over the summer, Dr. Grossfeld allows Centre College students to participate in pre med internships. This summer, Mackenzie Weiland, a senior at Centre College spent a couple of months interning at Louisville Orthopaedic Specialists. 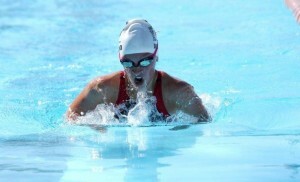 Mackenzie is a member of the Centre College division III women’s swim team. Her interest in athletics goes far back. In high school she was a junior elite triathlete, and she was also a competitive Irish dancer at the national level for 8 years. Mackenzie attended Oldham County High School, and graduated in 2014 with valedictorian honors. “Shadowing Dr. Grossfeld this summer has been an experience I will never forget. Not only is she a fantastic orthopedic surgeon leading at the top in her field, but she is also such an inspiring and special lady whom I am honored to have met. 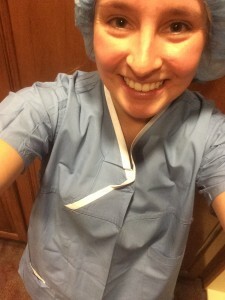 Spending the summer following her around in both her office and in the operating room have showed me sides to medicine not many pre-med students have access to. Apart from seeing patients and her teaching me how she approaches her diagnoses and treatments, Dr. Grossfeld also explained the criticalities and demands of owning a private practice. The camaraderie and respect among Dr. Grossfeld’s staff is something truly special, and it speaks volumes to the type of person and physician Dr. Grossfeld is. During my time, I learned so much about the field of orthopedics. Dr. Grossfeld made sure to explain all medical terminology while we were talking with the patient, and she helped me decipher X-rays to figure out where the problems were. During surgeries, she explained what each tool was for, what she was doing, and how her repairs would help the patient. She asked me questions aimed toward getting me thinking more like an orthopedist, and she created a welcoming invitation for any questions that I had. We were able to discuss the logistics of medical school, the advice she had for pursuing the path of a physician, and her own reasons for choosing the field of orthopedics. I truly listened to everything she had to say because it is rare to find a doctor so willing to help prospective medical students learn. Her commitment to helping young people excel in a field like her own is obvious with the many residents and medical related students that filter through her office. For me, in particular, I most enjoyed the dynamic when Dr. Grossfeld, a family practice resident, a physicians assistant student, and myself were able to all talk and work with the patinets together in the same room. It was so neat to be able to see all different women at different levels of medical education working together to help patients. The whole experience was incredibly empowering, and Dr. Grossfeld has truly inspired me to continue on my own path toward becoming a physician. 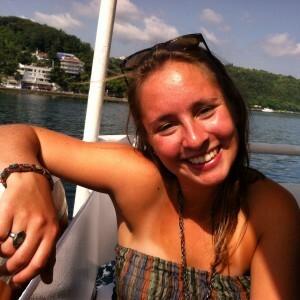 If you are interested in interning at Orthopaedic Specialists, call 502-212-2663 and ask to speak with Tisha.